Update: Price went back up, sorry! 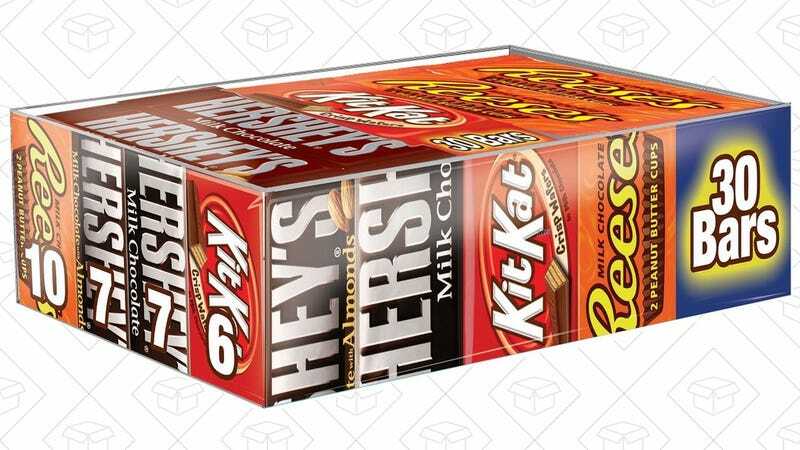 This isn’t some leftover Halloween candy deal, and it’s not an overpriced heart shape box: These are full sized candy bars. The good stuff. You get 30 of them for just $14 (after 10% off coupon), or about half the price of buying individually in the grocery store checkout line. The best part? 10 of those 30 are Reese’s cups.